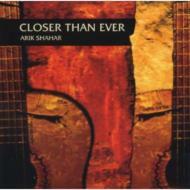 Israeli funk/jazz guitarist Arik Shahar has experienced a successful music career for over 20 years, and he presents his new CD Closer than Ever for String Jazz. He possesses a special talent for creating beautiful original smooth jazz tunes and is backed by nine equally talented musicians in a live setting. High voltage brass, sensual sax, and groove-oriented guitar and drumming come together to make this a smooth masterpiece. Produced by Arik, this recording features many of Israel's top jazz musicians. The best way to describe the overall ambience of this album is to think of a much jazzier version of Lee Ritenour.